We look forward to meeting you or your loved ones. You can count on our help in maintaining or regaining your optimal oral health and spectacular smile. Take a moment to explore our dental services here. Call us to schedule your consultation, check-up or second opinion visit. New patients are welcome! 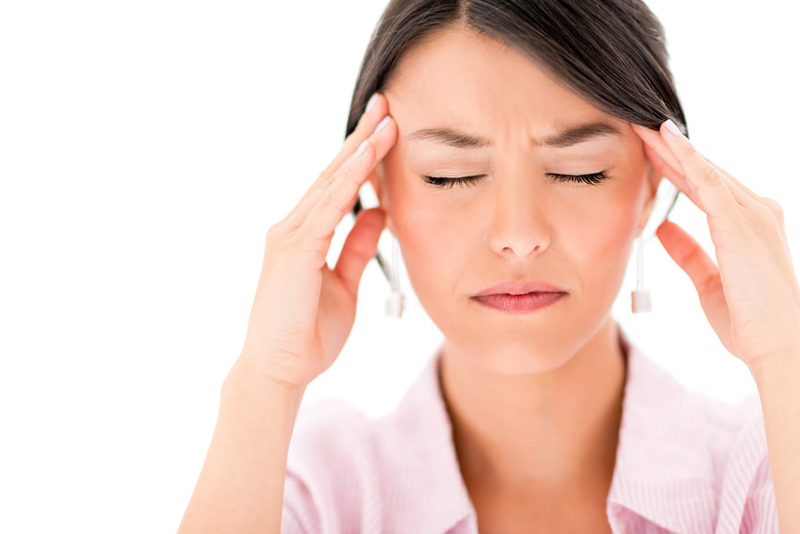 If going to the dentist is stressful for you, we can ease your anxiety with comfortable methods such pre-medication or nitrous oxide (laughing gas) or a combination of both. If you only use nitrous oxide for your procedure, you will be able to drive shortly after the procedure. We advise that you bring your child in between 24 and 36 months of age for their first dental visit. 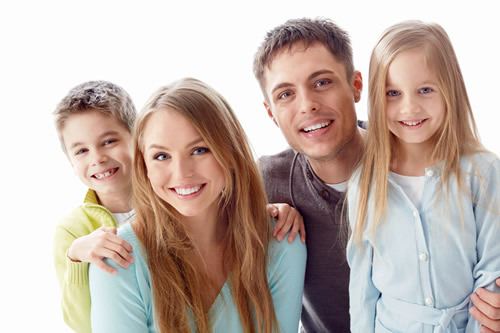 The examination will make sure that their teeth are healthy and that, as parents, you have the best information about oral hygiene and diet to prevent tooth decay. 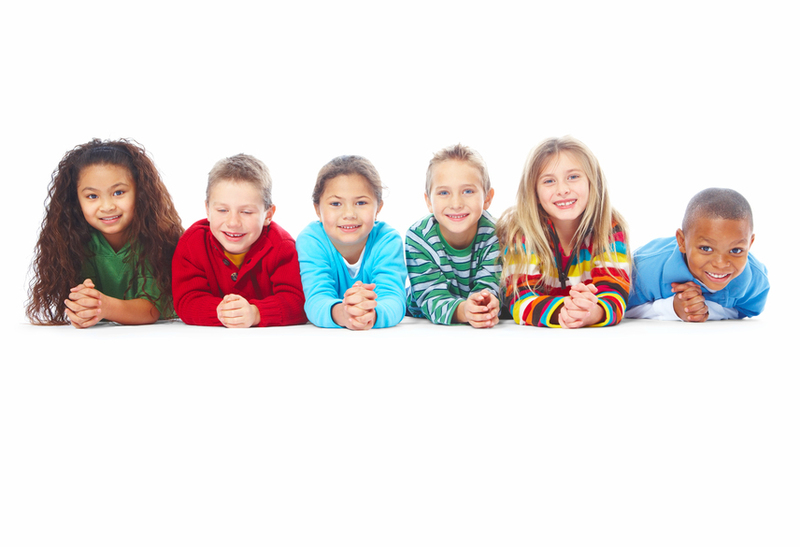 For older children, we provide a dental examination, tooth cleaning, fluoride treatment, and x-rays when needed. Please be assured that our dental staff is very experienced with young patients, and we will always do our best to calm their fears, make them feel comfortable and give them a pleasant dental experience. Accidental damage to teeth creates the need for reconstruction and restorative procedures to repair the health and beauty of your mouth. 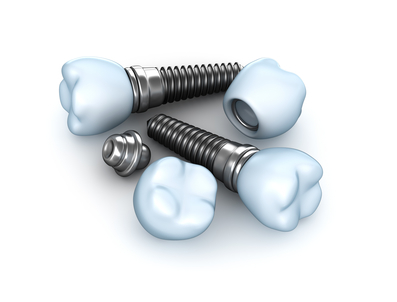 A damaged tooth, if treated quickly can many times be "saved" with minimally invasive cosmetic dental procedures. If a tooth is lost and not replaced it can cause your other teeth to shift, throwing your bite off. 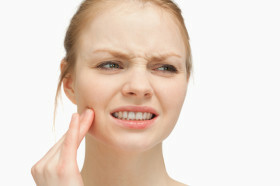 This can lead to breakage of other teeth and restorations, headaches, jaw pain and TMJ Disorder. Our wide range of cosmetic dental procedures provides options for you that suit the scope of your dental problem and financial concerns. 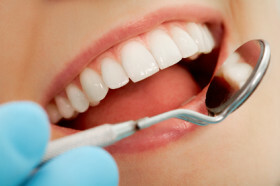 In some cases, a full mouth smile makeover is necessary to create the confident smile you desire. 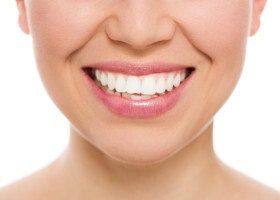 Our full mouth smile rejuvenation can involve a variety of these cosmetic techniques: porcelain veneers, crowns, composite bonding, cosmetic tooth whitening, dental implants or bridges. 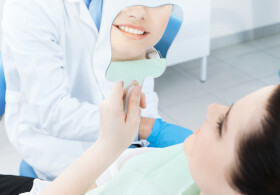 After a comprehensive examination of your mouth, the doctors will talk with you about your options and help you make the best decision for your smile. Creating a beautiful smile doesn’t necessarily mean that you’ll need a mouth full of porcelain veneers. Often, the doctors can rejuvenate a smile by focusing on a few problem teeth using minimally invasive and less costly dental procedures such as composite bonding in combination with cosmetic whitening. Creating a major transformation while preserving more natural tooth structure for a lot less money than you might think. With cosmetic dentistry, we can make your smile light up a room when you enter. 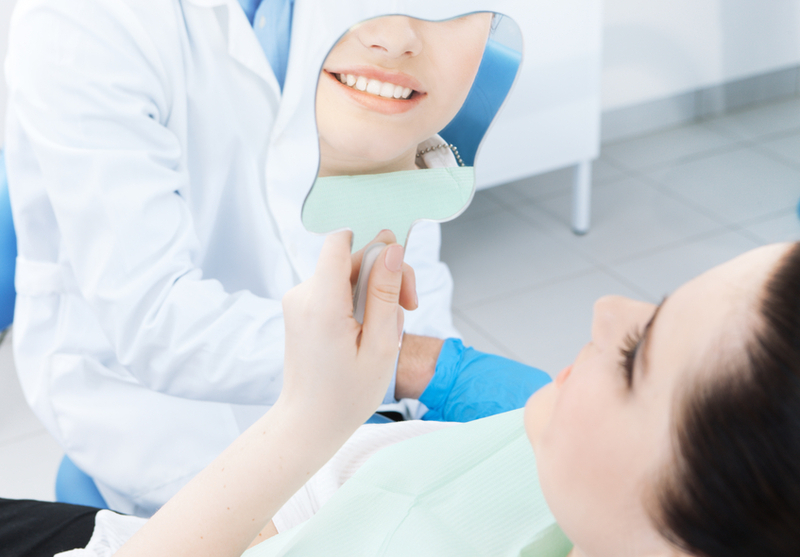 Through different procedures, we'll create that beautiful smile you've been dreaming of. With cosmetic tooth whitening, composite bonding, porcelain veneers, crowns and bridges, we can change an average smile into a brilliant one that warms a room. For more information on cosmetic dentistry, or any other dental procedure, be sure to ask us at your next visit. Over time, teeth can lose their brightness and become discolored from drinking coffee, smoking cigarettes and from the inevitable process of aging. No matter what age you are, dazzling, bright white teeth will transform your appearance and makes you look more attractive and feel more confident. Parvey Dental Care uses the convenient “In-Office Tray Whitening” technique. Developed from custom-fitted models of your teeth, the whitening trays are then placed in your mouth to give brighter, whiter teeth in one visit. 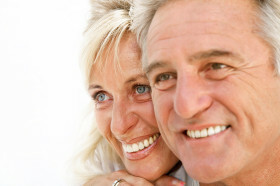 Dentures can take the place of missing natural teeth. Dentures allow patients to chew and speak more easily while improving their appearance and boosting self-confidence. Full dentures are used when all of a patient's teeth need to be replaced. Partial dentures are used when only a few teeth are missing. In either case, dentures can help you look and feel your best. Ask the doctors about metal-free flexible partials. Composite bonding is a quick process, typically lasting less than an hour. Compared to veneers or crowns, it is a popular choice because it does not reduce the tooth's original structure. Composite bonding is also relatively inexpensive. And finally, composite resins are available in many different shades. The shade can be chosen to match the natural color of the original tooth. 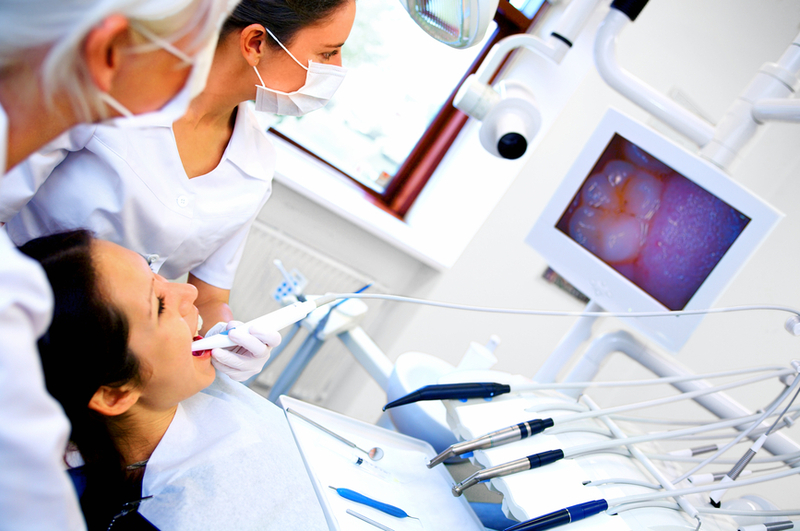 Endodontics deals with diseases of the tissue, blood vessels, and nerves inside the tooth. The most common endodontic treatment is called a "root canal," a procedure used to remove infected tissue and refill the nerve canal inside the tooth. A root canal allows you to retain your natural tooth while eliminating the infection. We use the latest technological breakthrough for root canal procedures which allows us to perform quiet, comfortable, root canal therapy, usually in only one visit. The Profile System is clinically tested to produce superior results for patients when compared with other leading technology. Early detection is the key to avoiding costly and painful dental treatment. Prevention begins with the control of plaque and calculus, the main cause of decay and periodontal disease. In fact, the major cause of tooth loss in adults is periodontal disease, which is known as the silent killer of teeth because most patients feel no symptoms until it's too late. With regular dental visits, we can treat gum disease at an early stage, before it gets out of hand. Over 75% of Americans age 35 and over have some form of gum disease, a result of poor dental hygiene and the subsequent build-up of plaque. 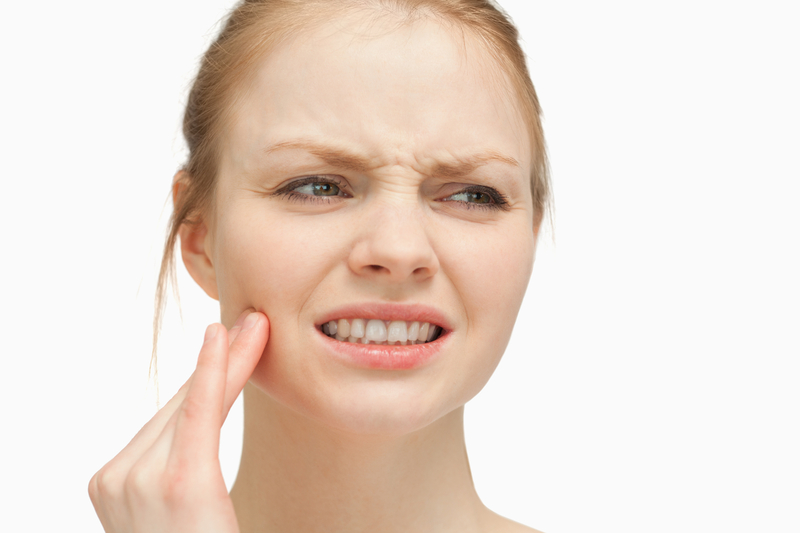 In its earliest stage, your gums might swell and bleed easily. At its worst, you might lose your teeth. So, if you want to keep your teeth, you must take care of your gums. The good news is that gum disease is preventable in most cases. Attention to everyday oral hygiene (brushing and flossing), coupled with professional cleanings twice a year, could be all that's needed to prevent and actually reverse the early stage of gum disease. If you have gum disease, the doctors will identify it during your exam and recommend the best treatment for the level of severity. Thanks to fluoride, dental sealants and better dental habits, fifty percent of school-age children now have no cavities. Parvey Dental Care provides quality, effective dental sealants for your children’s teeth that will protect them from the normal causes of cavities. Mouth guards are often used to protect your child’s teeth from injury due to teeth grinding and during sports. The guard usually covers the upper teeth; however, if your child wears braces or another fixed dental appliance on his lower jaw, the doctors may suggest a mouth protector for these teeth, too.